Red chalk, 23.6 x 27.5. Thiem, 1961, 3, Fig. 3, 4-5, as by Andrea di Cosimo Feltrini and as for the lost arms of 1513 he painted at SS. Annunziata. Berti, 1983, 55, 56-57, Fig. 15, as Rosso, for his lost arms of Leo X of 1515 at the Annunziata. Berti, 1993, 12, 20, n. 4, as possibly by Pontormo for the coat-of-arms of 1514 mentioned by Vasari as painted at Pontorme, but more probably by Rosso for the coat-of-arms at the Annunziata in Florence paid for 20 September 1515. Costamagna, 1994, 108, under no. 7, Fig., as by Andrea di Cosimo Feltrini and probably for the arms on the façade of SS. Annunziata. 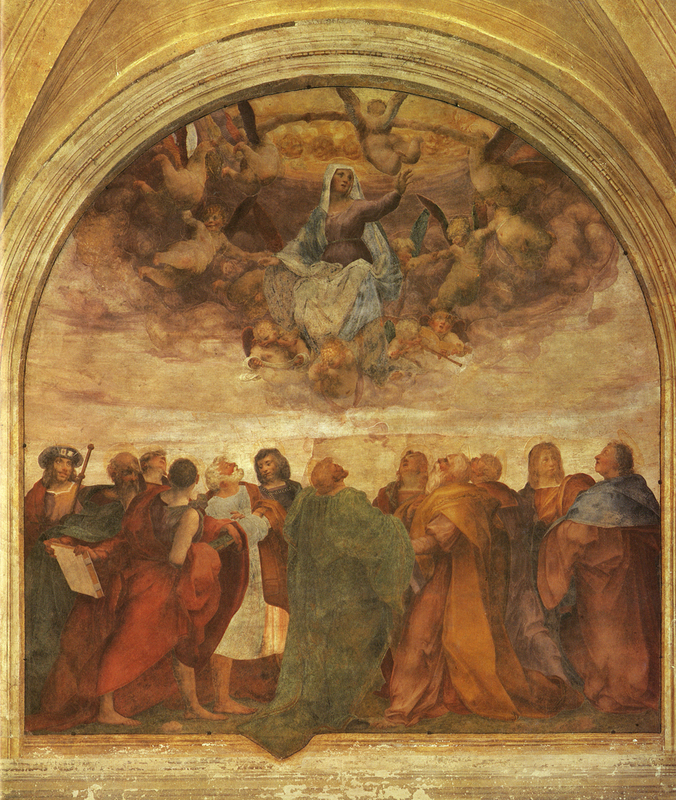 R. C. Prato Pisani, in Pontormo a Empoli, 1994, 39, Fig., 93, under no. 6, as Pontormo, as having been related to Pontormo’s arms of Leo X at SS. Annunziata, but reporting Alessandro Cecchi’s opinion that it is related to the decoration made for the visit of Leo X to Florence in 1515. Franklin, 1994, 8, the attribution to Rosso having little to recommend it. 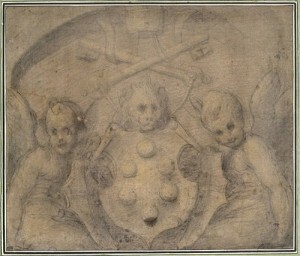 Berti’s attribution of this drawing to Rosso for the lost arms of Leo X that he painted at SS. Annunziata in 1515 (L.9) is not acceptable. 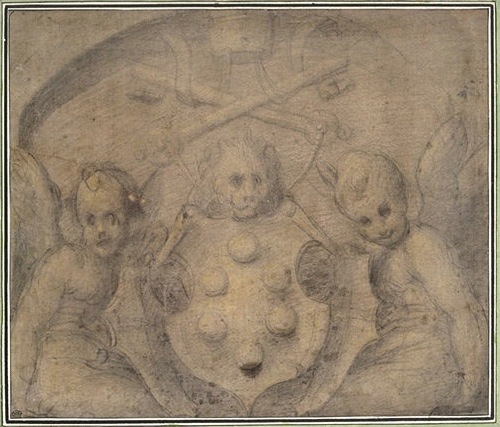 Although the drawing shows Leo X’s arms flanked by two children and hence may match what Vasari said Rosso’s lost fresco depicted – Vasari mentioned “due fanciulli” – the style of the image and its draughtsmanship do not indicate that Rosso did it, nor even that it could be a copy of a lost drawing by him. 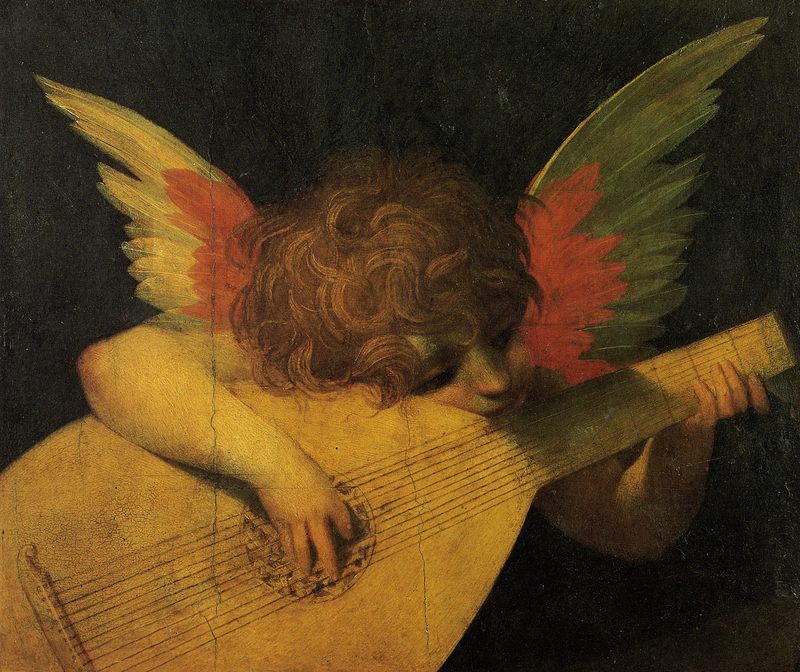 As a work by Rosso of 1515, its putti might be expected to resemble those in his Assumption of 1513-1514 (Fig.P.3a) or his Angel Playing a Lute of late 1514 or 1515 (Fig.P.4a), but they do not. It is a charming drawing but it has not the graphic incisiveness, the compositional inventiveness, nor the wit that one would expect from Rosso already in 1515. C. and G. Thiem recognized the drawing as by Feltrini for the lost painted arms in the atrium at the Annunziata for which he was paid in September 1513, and recognized the influence of Sarto and Pontormo. Berti thought the Thiems were referring to the sculpted arms on the portico that are flanked by Pontormo’s frescoes. The attribution to Andrea di Cosimo Feltrini seems likely.